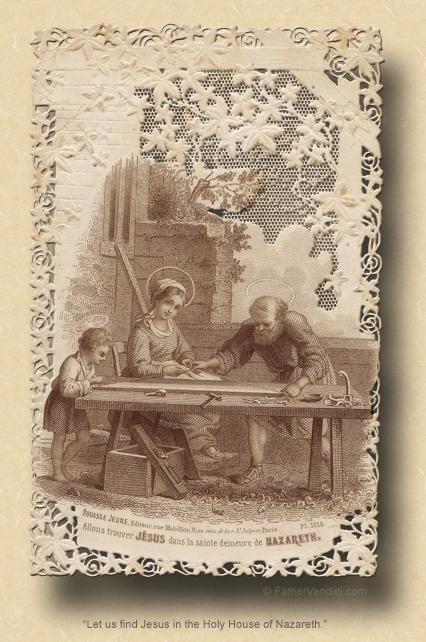 The Solemnity of Saint Joseph, Spouse of the Blessed Virgin Mary. • II Samuel 7: 4-5, 12-14, 16. • Psalm 89: 2-5, 27, 29. • Romans 4: 13, 16-18, 22. • Matthew 1: 16, 18-21, 24. • [Gradual] Psalm 20: 4-5. • [Tract] Psalm 111: 1, 3. It is not possible, I believe, for us not to be edified by the example of Joseph, the foster father of our Lord, in how blindly he trusted in the will of God. 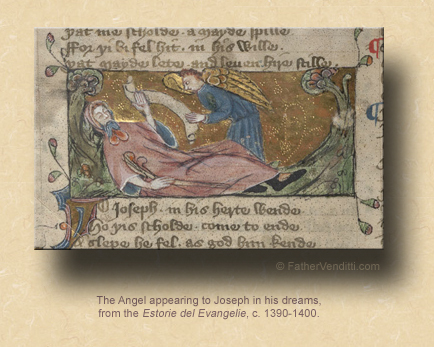 He takes Mary as his wife under what were very unusual circumstances to say the least; after our Lord's birth he moves his family here, there and everywhere based on nothing more tangible than messages received by angels in dreams; and, he does it all without expressing a single word of doubt or concern. We don’t know if that meant he had no doubts and concerns; we only know that he never voiced them. His blind trust and immediate obedience to God’s various commands, while they may strike us as an example of docility, are in actuality examples of a solid manliness. He knows, as any good father should, that his primary job in life is to guide his family in the ways of grace. The father has no more important responsibility than to see that his family pleases God. Of course, Joseph had the advantage of having as a partner the Mother of God. She, after all, is not going to object to anything he does in obedience to God’s will. Not every father is so fortunate. Sometimes the situation is reversed, in which the wife must take the lead in guiding her husband to know and follow God’s will. Every family is different because every family is composed of different personalities. But what is important for our reflection today, I believe, is the fact that God chose to begin the work of the redemption of mankind within the context of a family, and this is important to think about. When God decided to redeem man and come to earth, I suppose He could have done it anyway he wanted. He could have just appeared, fully grown. If He wanted to be a bit more dramatic, He could have arrived the way Elijah departed this world, on a fiery chariot. But instead He chose to be born as other men are born: to a human mother, Who had a human husband, into a real family. That choice was deliberate. It wasn't an accident. He didn't have to do it that way, but the first thing that the God-man blessed with His presence on earth was a home. Everything that's worth something in this life costs a little pain. And in this sense, there's nothing more expensive than love. It's impossible to love without risking some hurt; but, is it better, therefore, not to love? When couples live together without benefit of marriage, as so many do these days, they will often defend their actions saying, "It's better than getting hurt. What if it doesn't work out?" But there's something noble in the risk. It's that willingness to take the risk of pain that says to the other person, "I am loved." Maybe that's the reason that couples who live together before marriage often don't stay together, even after they're married. No one can dispute that the solid family, based on a monogamous marriage, is a risky business. But was it less risky for the Holy Family of Nazareth? 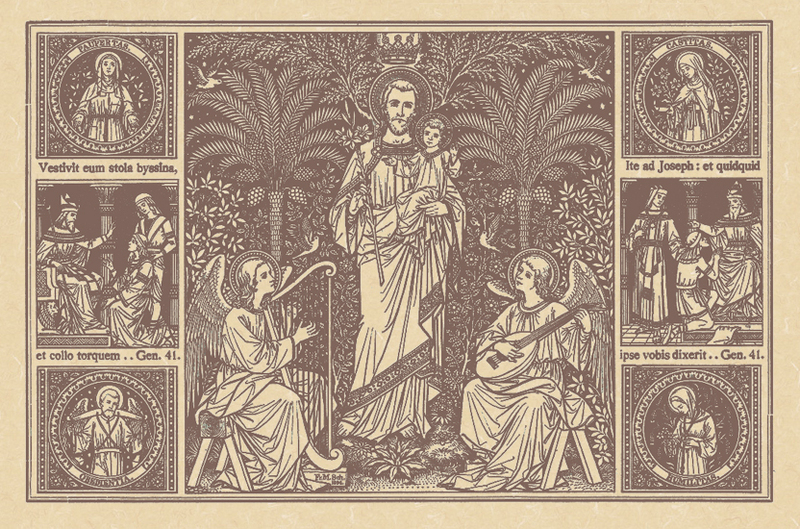 Mary's family didn't believe that She was pregnant by the Holy Spirit. Who would? Would you have? And Joseph's family couldn't believe their eyes when he married Her anyway. And there was no conjugal love between the two, as the Church teaches that She remained a virgin all her life. That would be enough of a strain on any marriage. It is a sad fact of life that it hurts sometimes to live in a family. And families that are resolved to stay together often find themselves very much like sheep among wolves, very much like the seventy-two disciples whom our Lord sent out in Luke chapter ten. When, at the beginning of that passage, our Lord says that the harvest is plentiful but the laborers are few, many people just assume he's talking about the Holy Priesthood. But this event in the life of our Lord occurs long before Jesus chooses His twelve apostles. These men He sends out to preach the kingdom are laymen. We can presume that many of them had families. And our Lord charges them not to be concerned with how they're going to survive on their mission, but to be confident that God will provide. The decision to marry and start a family is a courageous one. From baptism onward every Christian is called by Christ to perform a mission. For those who have embraced the covenant of marriage, that mission lies in the raising of children in the faith. Maybe they feel ready for the burdens of family life and maybe they don't; but, ready or not they have accepted the call. They are like the seventy-two which the Lord sent forth, not concerned about purse or bag or sandals, or what they were to eat or where they were to stay. Those seventy-two knew only that Christ had given them a mission, and nothing was going to prevent them from fulfilling it. They were prepared to sacrifice everything for Him. So, on this great feast on which we honor the memory of the man who took the Mother of God as his wife, let us also honor all fathers everywhere who have accepted the God-given call to lead their own families intact into the Kingdom of Heaven. 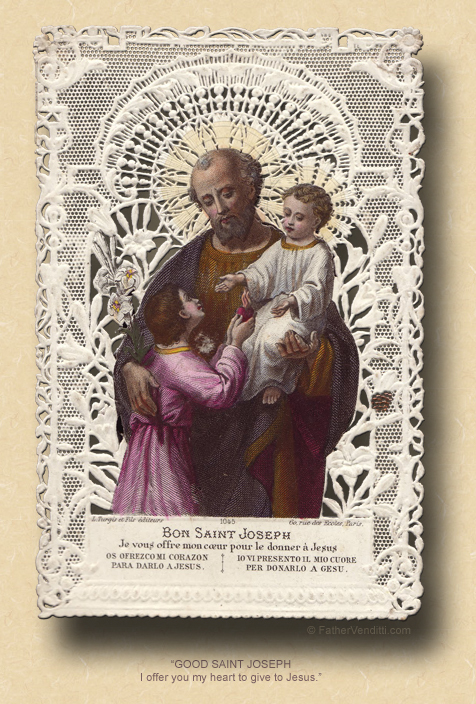 And let us pray to the good and gentle Saint Joseph, patron of fathers and patron of the Universal Church, that he spread his mantle of protection over both the family of Christ's Church on earth, and every family within it, leading them both into eternal glory and perfect unity. * In the extraordinary form, when a feast falls in a privileged season, the feria is commemorated by an additional Collect, Secret and Postcommunion added to those of the feast.